CAPITAL PINT: Highlighting three new Ontario craft beer offerings for spring! Spring has sprung, snow is melting, blah blah blah. That’s the usual storyline this time of the year, as we — or maybe just I? — try to inject a dose of hope into our angst-laden March attitudes. Yes, angst. You feel it, too. There are dirty, muddy, sludge-ridden streets reminding us of the winter that was — and still is. (I say winter’s not over until we see a slew of hipper-than-thou folks sporting homemade cutoff jean shorts around town. That’s not a knock against you, if you fall into that category. If I had the legs to work it, I would. And the amount of Nair necessary to make ’em look as smooth and shiny as Michael Phelps’.) Our bodies continue to wrestle with this whole waking-up-an-hour-earlier thing. And Ottawa drivers still don’t know how to signal when changing lanes. But, I guess that’s an enraging issue every day of the year. I need a drink after writing that. You may need one after reading it. Well, spring also means new beer seasonals! *Manly chest bumps all around* We highlight three new Ontario craft offerings for your next shopping trip. 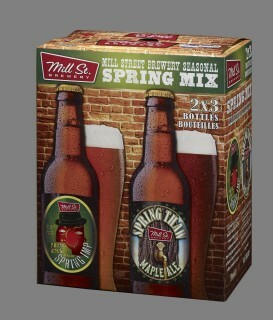 Mill Street’s new Spring Mix six-pack includes three bottles each of two different beers, following the same pattern as last year’s Autumn Harvest pack. Spring Imp, a bock (see above for the kindergarten Coles Notes on bocks), and Spring Thaw Maple Ale make up the two offerings in this seasonal pack. The Maple Ale uses syrup from Lanark Country, with malt that’s slightly smoked, and comes in at 5.3% ABV. It’s fine and sessionable, but the Spring Imp takes the medal out of the two. 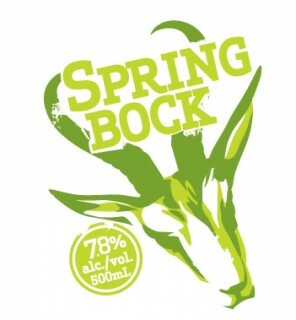 The 7% ABV bock has a bright amber hue, much lighter than Amsterdam’s version and with much more carbonation. It’s quite malty, which does well to hide the alcohol. It does a fine job of warming you up, and quickly, which is nice when we have a few more weeks of sub-zero evenings ahead. 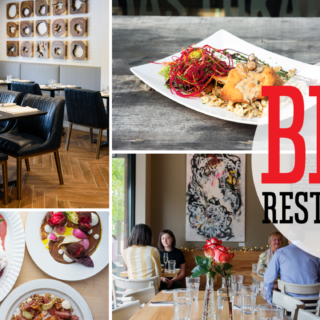 The LCBO release was pushed back — you might find it in stores this week or next. We’ll take an educated guess that the 6x355mL pack will cost around $13.25.